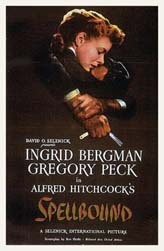 Absorbing tale of psychiatrist Bergman trying to uncover Peck's hangups; Dali dream sequences, innovative (and Oscar-winning) Miklos Rozsa score help Hitchcock create another unique film. 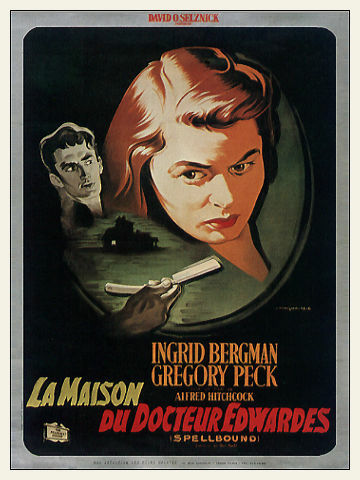 Based on novel The House of Dr. Edwardes by Francis Beeding; screenplay by Ben Hecht. In original theatrical prints, a key gunshot was shown in color. Although the film is in black and white, two frames where the gun shot goes off while pointed at the camera are tinted red. One of the first Hollywood films to deal with psychoanalysis. The dream sequence was designed by Salvador Dalí, and was originally supposed to run for 20 minutes. It included a scene with Dr. Peterson covered in ants. Only part of it was filmed, and even less of it ended up in the release version. The shot where the audience sees the killer's view down a gun barrel pointing at Peterson was filmed using a giant hand holding a giant gun to get the perspective correct. 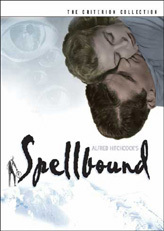 The snow falling on John Ballentine and Dr. Peterson during the skiing scene was actually cornflakes. David O. Selznick wanted much of the film to be based on his experiences in psychotherapy. He even brought his psychotherapist in on the set to be a technical advisor. Once when she disputed a point of fact with Alfred Hitchcock on how therapy works, Hitchcock said, "My dear, it's only a movie." Directors Cameo (Alfred Hitchcock): about coming out of the elevator at the Empire Hotel carrying a violin.